Grey mullet are wonderfully hard-fighting fish that can be caught on coarse fishing tackle in all environments from the open sea, through estuaries, to the tidal limit of rivers. There is increasing interest in fly fishing for mullet. The National Mullet Club lets mullet anglers of all levels of experience share ideas through its magazine, newsletters and fish-in meetings, and works for conservation of the species. NMC is offering all individual members of Angling Trust a special welcome deal of fifteen months membership for the price of twelve. 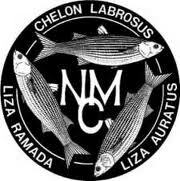 To take advantage of this offer, simply join NMC through the online shop at www.thenationalmulletclub.org and when you receive your welcome email, reply with your Angling Trust membership number.